Our class so enjoyed reading Flat Stanley by Jeff Brown that we decided to make our own Flat Stanleys. We colored them, cut them out, and placed them in a envelope to travel around the world. We picked one relative or friend to mail our new flat Stanley to. Throughout the year we will track our Flat Stanleys to discover where their travels might take them. 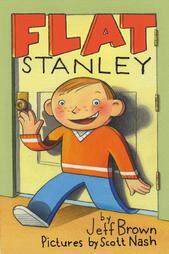 Visit the official Flat Stanley Web Page to meet the author and learn more about the project. These are all of the places that our Flat Stanleys have visited!